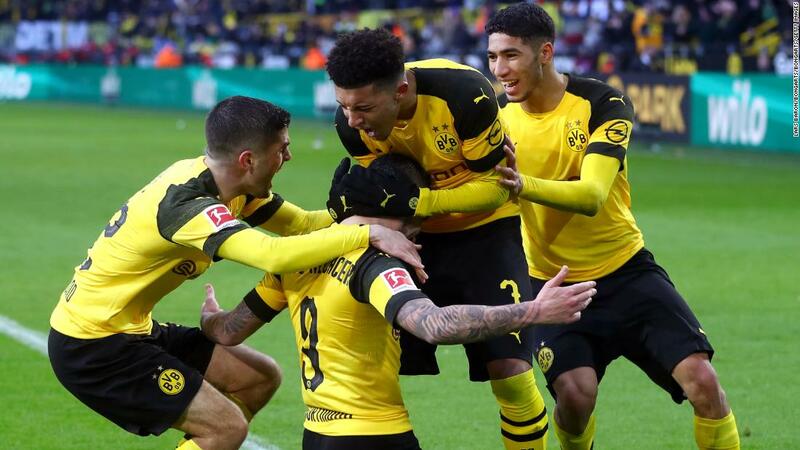 Dortmund, Germany (CNN) As a child, Daniel Lrcher remembers hearing the chanting on the terrace at his beloved Borussia Dortmund. Even now, all these years later, the song about sending Schalke supporters to Auschwitz, where the Nazis murdered Europe’s Jews, remains seared into Lörcher’s memory. 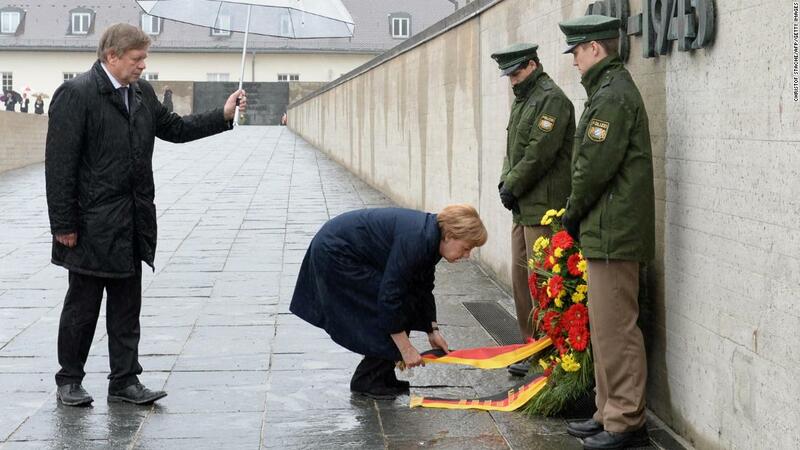 So much so that Lörcher is actively involved in an innovative educational project that takes Dortmund fans to visit concentration camps such as Auschwitz and Treblinka. During the period between 1933 and 1945 when Germany was under Hitler’s rule, the Nazis used a network of camps in Central and Eastern Europe to kill about 6 million Jews and millions of other people. Anti-Semitic songs and monkey chants aimed at black players were not unusual in the late ’80s and ’90s, Lörcher recalls, but it was also the moment he believes football began to wake up to the hatred which had embedded itself within the sport. 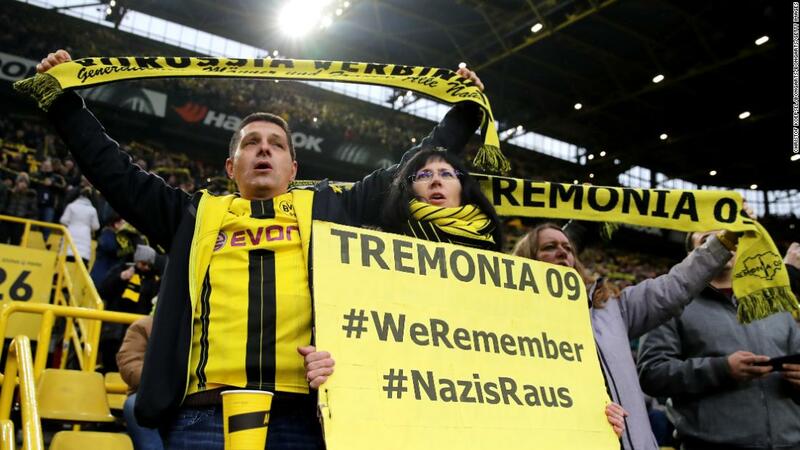 At clubs like Dortmund, it was the supporters who took control of the fight against racism, working with the club to eradicate the far-right element that had been part of Dortmund’s support throughout the 1980s. 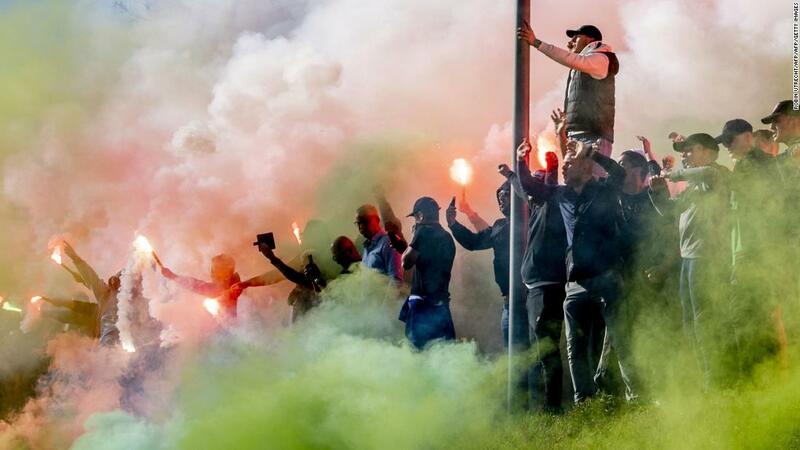 “At the end of the 1980s and early 1990s, the hooligan movement was very strong in Germany, ” Lörcher, a former ultra who is now a fan liaison officer at the club, told CNN. Fast-forward to today and Lörcher is an integral part of Dortmund’s fight against hate, helping to run a fan project that educates supporters about anti-Semitism. “The supporters are part of the society, and we are a big football club with more than 150,000 members,” he says. 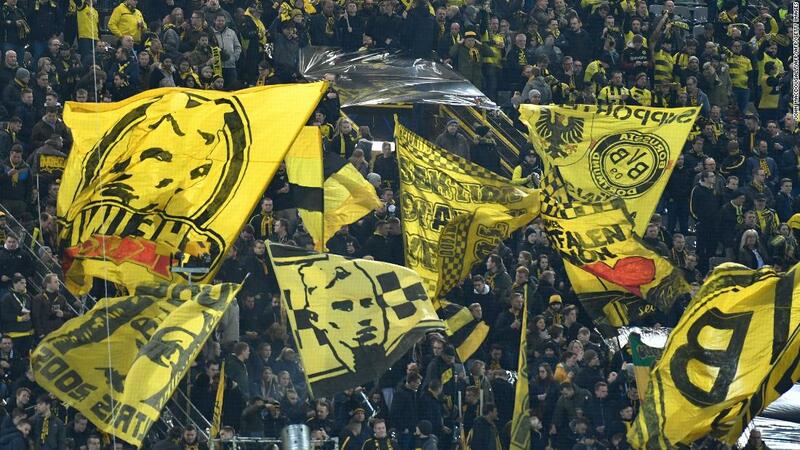 Dortmund is not the only club that has been vociferous in its opposition to racism and discrimination. In January last year, Eintracht Frankfurt president Peter Fischer vowed to ban anyone who supported the far-right Alternative for Deutschland (AfD) party from being a member of the club. In response, the AfD filed legal charges against Fischer. Werder Bremen CEO Hubertus Hess-Grunewald also criticized the AfD, claiming that voting for the party was incompatible with the values held by the club. The AfD, which has consistently rejected accusations that it is an anti-Semitic and anti-Islamic party, won 12.6% of the vote in the 2017 Federal elections. Its 92 lawmakers who entered the Bundestag comprise of the first far-right party to enter the country’s parliament in almost 60 years. 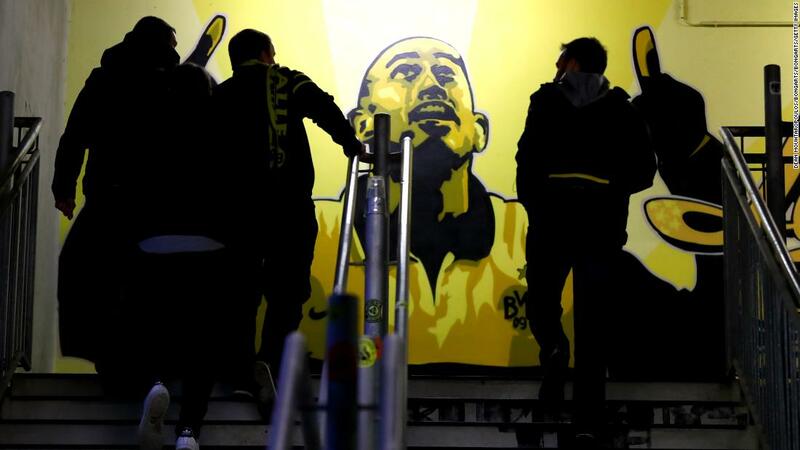 For Borussia Dortmund, one of Germany’s leading football clubs, the battle against anti-Semitism and racism has been a long and often challenging affair. During the 1980s and 1990s, the club attracted supporters from the far-right, including those from the infamous “Borussenfront” which became one of the country’s most feared hooligan gangs. 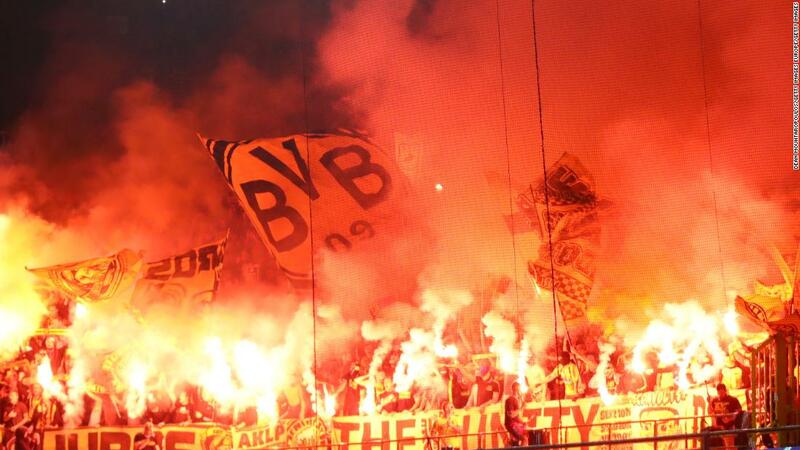 But a combination of the left-leaning Ultra movement and club projects, such as that undertaken at Dortmund, has helped to curb the far-right’s influence. 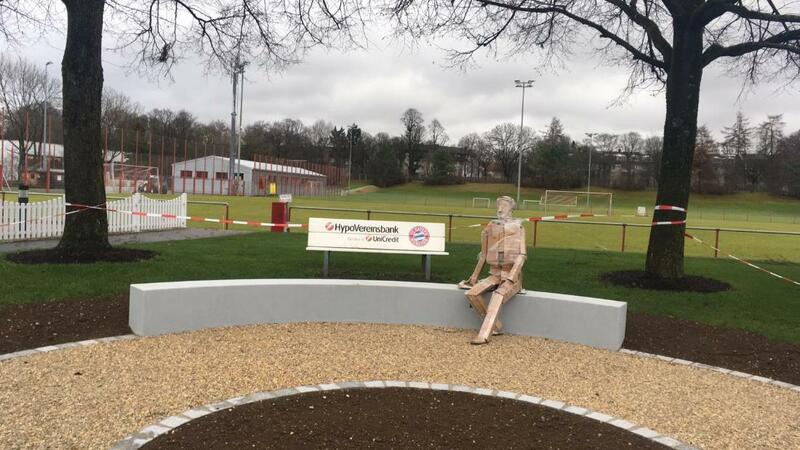 Lörcher is very much at the heart of a new project that helps educate the club’s supporters on the horrors of the Holocaust. 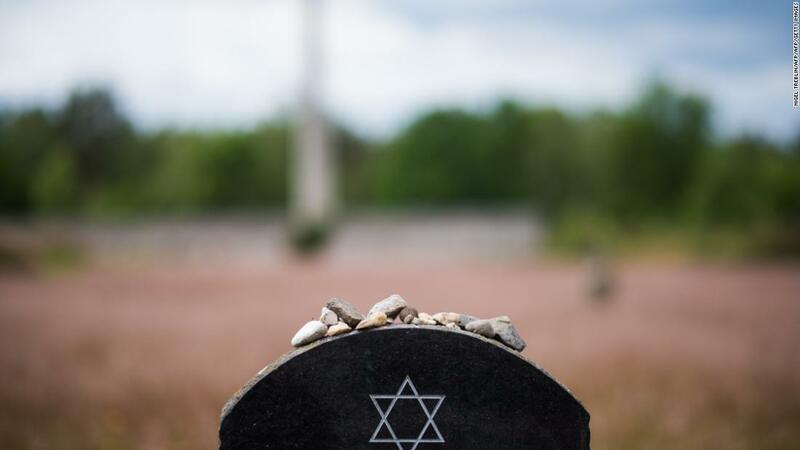 Running since 2011, the project takes supporters to concentration camps where a number of Jews from Dortmund were murdered. 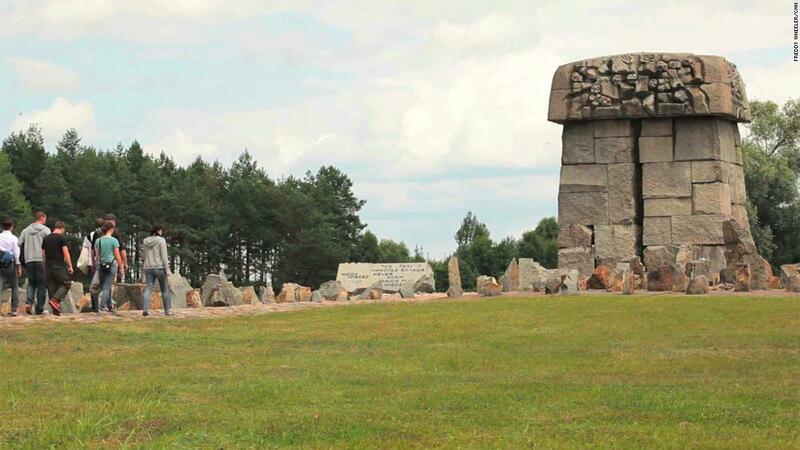 So far it has taken supporters to Auschwitz, Majdanek, Belzec and Treblinka, as well as Zamosc, a town in Nazi-occupied Poland where many Jewish families from Dortmund were transported to. “It is just a part of our program, but I would say the impact was very strong,” Lörcher told CNN. “Right now we have an initiative against discrimination for supporters. We also educate also our employees who are very interested in this topic, and we have our stewards who are also taking part. “If there is an incident in the stadium, many people come up and say there is an incident and we would like to react. Such is the demand to take part in the program that Lörcher often has to turn people away with around 120 people applying for 30 to 35 spaces. Lörcher says that such has been the success of the program that Dortmund has begun to help other clubs devise projects of their won. He now estimates that between 10 and 15 clubs in Germany offer a similar program to Dortmund’s. “I think we had this idea of empowering people to give them the feeling they can do positive things with the club, and then it developed,” he said of the program. “We just came up with the idea that we would like to visit, and then we recognized what we can do with educational programs. 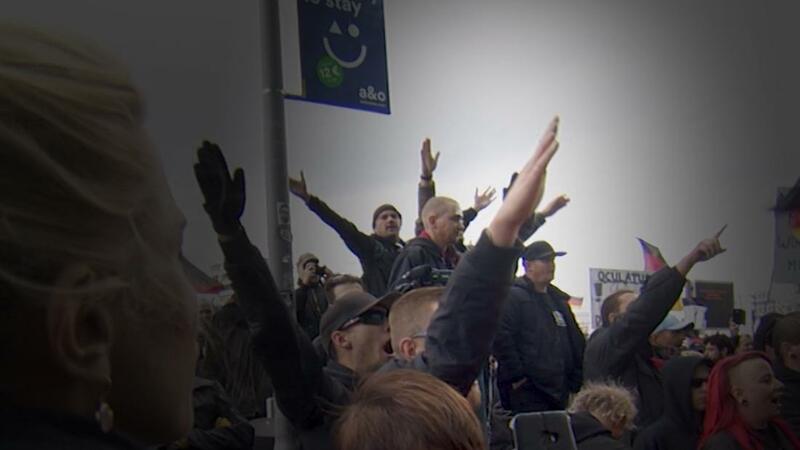 Situated in the heartland of the industrial Ruhr area, the country’s rust belt, Dortmund has long been a hot spot for those with far-right tendencies. It is what has made their anti-discrimination work even more vital, according to journalist Felix Tamsut, who has reported extensively on fan culture in Germany. “I think generally speaking there are quite a few clubs in Germany that have left-wing, anti-fascist supporters, but not many are situated in the socio-economic area that Dortmund is located in,” he said. “In terms of the city, in terms of the region, in terms of the history, in terms of the voting pattern, people are more prone to voting for far-right parties. I’m not talking in massive percentages, but still more prone than in the big cities, and that’s the reality in which Borussia Dortmund exists. “That’s what makes their social work with young people even more important. Within that reality, Dortmund stands against racism, against discrimination, particularly against anti-Semitism, against homophobia, against sexism, and it makes its mark. While anti-Semitic incidents at the higher levels of German football are sporadic, they are by no means altogether rare. Earlier this month, Ingolstadt’s Israeli player Almog Cohen was subjected to anti-Semitic abuse on Twitter by an opposition football fan. The tweeter, allegedly a supporter of FC Union Berlin, told Cohen he should disappear into “the chamber,” referencing the gas chambers that were used by the Nazis to murder Jews during the Holocaust. The tweet, posted after Cohen was sent off during his side’s 2-0 defeat in Berlin, was condemned by Union, the German Football Association and Israel’s ambassador to Germany, Jeremy Issacharoff. In another incident on the same weekend, fourth-tier club Chemnitzer FC caused outrage after allowing supporters to hold a tribute for a recently deceased supporter who was a well known neo-Nazi. These incidents took place against a backdrop where offenses directed at Jewish people rose nearly 10% last year, according to German police. “Generally speaking, the situation is much better than it used to be 20 to 30 years ago, and that’s largely thanks to the ultra movement and fan activism in general,” Tamsut told CNN. “But anti-Semitism is slowly returning to being a thing in German society, so it’s bound to have some sort of an effect on the game. 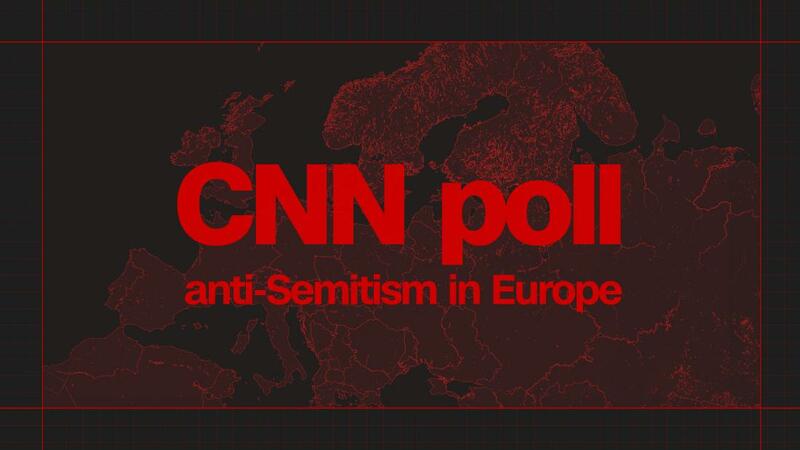 A CNN survey of seven European countries conducted in Germany, Great Britain, Sweden, France, Poland, Hungary, and Austria exposed the prevalence of anti-Semitism in 2018. 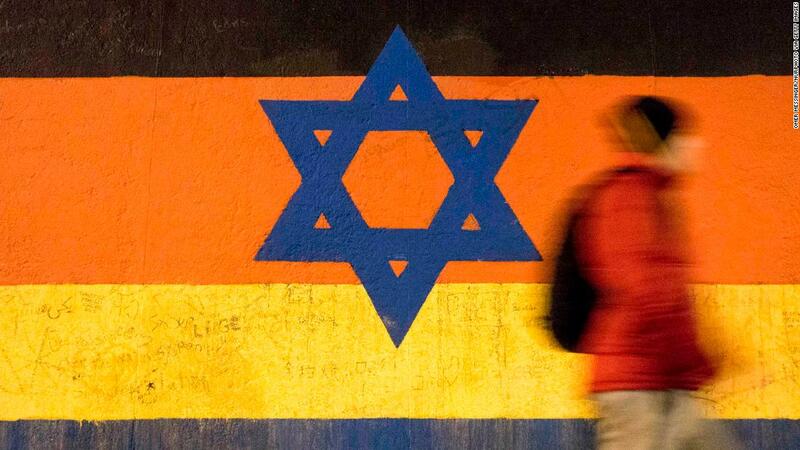 In Germany, the poll found that 55% of those surveyed believed that anti-Semitism is a growing problem in the country today. In addition, it also found that 40% of young German adults between the ages of 18 and 34 know little to nothing about the Holocaust. For Markus Gunnewig, the assistant director at Dortmund’s Steinwache Museum, the results are hardly surprising. For the past four years, fans of Borussia Dortmund have been visiting the museum which was once home to the city’s most infamous political prison. According to Gunnewig, around 6,600 people were imprisoned at the site between 1933 and 1945, many of whom were tortured, or sent to death camps from the prison. Gunnewig hopes that the museum’s partnership with Borussia Dortmund will help educate supporters about the Holocaust and the fate of the city’s Jews during the Holocaust. He believes the work being done by the club is crucial in helping the fight against anti-Semitism and xenophobia within society. “History is a very important part of identity, and people are part of this football culture,” Gunnewig added. “For those people, for most people, identity is a pretty important thing. What we have managed to do in past years is to make this National Socialist past and Holocaust part of this local history, and part of many people’s identity. “So because of their identity as ‘Dortmunders’ and supporters of the local football club, they are interested in that part of history as well. “Those tours we do with the football supporters are part of a huge effort done by the club to fight racism and neo-Nazism. Groundbreaking software for the easiest access to profitable Dropship stores, complete with 1-click shipping and customer fulfilment. SociCore is the all in one suite for Facebook marketers. Software Gets BUYERS Hands-FREE With REAL Human Engagement On Autopilot. Even more revolutionary animated video assets designed to captivate and engage your viewers! Copy-Paste Our Content Curation Blueprint That Has Helped Us Generate Over $5,000 In Info-Product Sales in a Brand New Market! AffiliateNinjaPro Scale A Cloud Based App That Creates INSTANT 1-Click Profitable Affiliate Funnels to Build You a HUGE List and Gets Targeted Traffic and Affiliate Commissions on 100% Autopilot. Warlord Mobile Leads LIFETIME Get PRIMARY email addresses and REAL names of ALL your leads! The hottest lead generation product of 2016! ScriptReel - VidOptimizeNeos Commercial License VidOptimizeNeos is a cloud based video optimisation and ranking software with tons of powerful features to help optimise videos the right way. Google AdSense Success Kit Downsell Get this Up-to-date "Google AdSense Success Kit" with PLR Rights and start cashing in huge by selling it as your own. Seeker Academy Purchase The Best LinkedIn Software and Training and get rewarded with consistent leads. Proof Inside! Speedleads Browser Extension (1 Brand) Lead generation. Reimagined. This revolutionary browser extension adds a branded Call-to-Action to every link you share. In seconds. Right from your browser. StoreDaddy Creates High Profitable Affiliate Stores with 1-Click! EZ Review Videos EZ Review Videos is the new software that helps you add INSTANT CREDIBILITY to your videos! Facebook Marketing 3.0 Biz in a Box Monster PLR Get this Up-to-date "Facebook Marketing 3.0 Biz in a Box" with PLR Rights and start cashing in huge by selling it as your own. Gifpublishr Cloub-based social marketing software that leverages Gifs to reach over 3 billion people across the top 4 social media platforms. Avatar Genie Pro Deluxe Upgrade + Mega Bonuses DOUBLE addon hairstyles, outfits, costumes and accessories to your Avatar Genie Pro characters. Cryptomatic360 Consultant Pack [Upsell2] GET MORE THAN JUST EXTRA INCOME. START A CRYPOCURRENCY CONSULTING BUSINESS OF YOUR OWN AND BE YOUR OWN BOSS! Stock Image PLR Firesale 2.0 Upsell Pack Stock image PLR Firesale 2.0 Upsell Pack Comes with Private label Rights. That means you can sell it under your own name and keep 100% profit. Video Agency Studio - EZ Voicemail and Leads Pack Find and contact leads with an amazingly automated system that will grow your client list like crazy.